At first glance this is quite an expensive supplement for a natural muscle building compound. However the reason for this is in the ingredient known as Arachidonic Acid which is quite expensive to produce in large quantities and this formula has what appears to be a hefty dose. 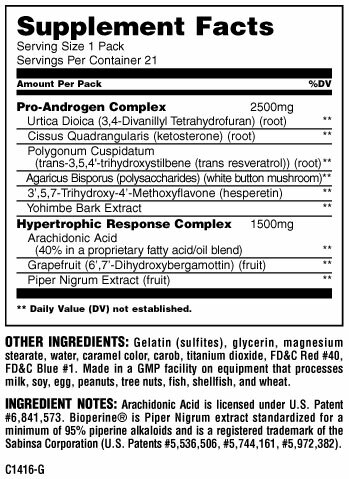 Arachidonic Acid is extremely effective as a standalone supplement (see SNS X-Gels also on the site), however here we see it with a supporting cast of ingredients to enhance and support its effects most notably Cissus which is a personal favourite for its joint and inflammation protecting properties (plus many more benefits check it out on examine.com) Then they have added Uritica Dioica to free up test and three types of oestrogen modulating ingredients to support a nice shift towards a lean hard body – perfect to run on its own or after a previous cycle to lock down your gains. If you haven’t tried Arachidonic Acid before then this would be a great way to experience it, I highly recommend this for vegetarians and vegans (ingredient source dependent) as Arachidonic Acid is likely to be most deficit in these diets, however please do your research before hand as this is not a suitable ingredient for people with inflammation issues such as arthritis. 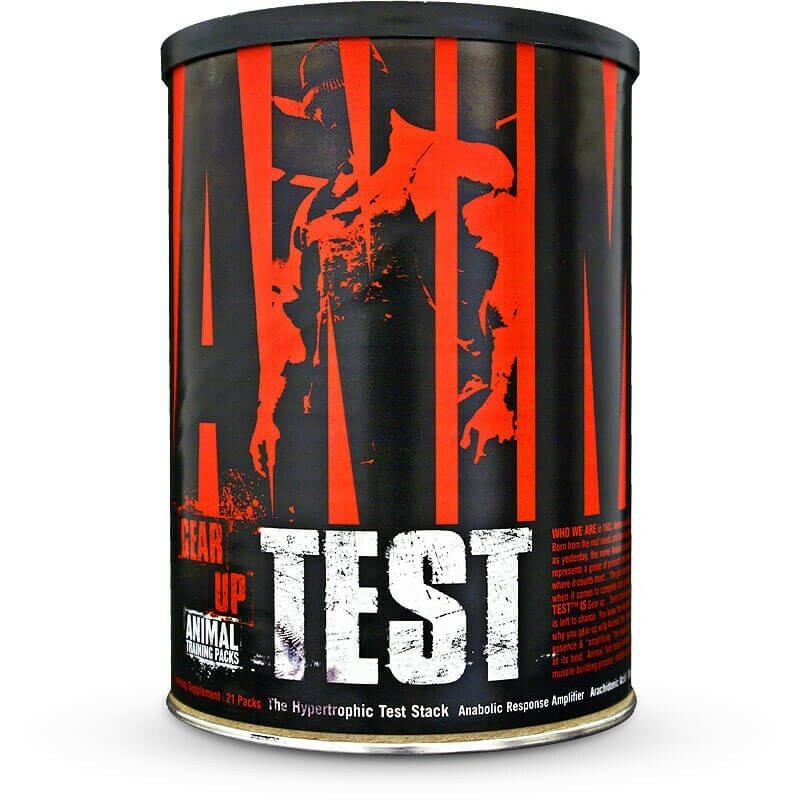 In order to capitalize on the blast of utilizable testosterone provided by these pro-androgen ingredients, Animal Test comes fully equipped with a combination of cutting edge anti-estrogens. First among these is the ultra antioxidant Trans Resveratrol (trans-3,5,4’-trihydroxystilbene). Trans-Resveratrol can effectively acts like a ‘shield’. This compound can bind to the estrogen receptor and block circulating estrogen hormones from ever hitting the target receptor – inhibiting unwanted estrogens from reaching the hormone receptor.